Even though this article is designed to help the needs of junior golfers I am fully aware that most of the readers will be the parents! Over the last thirteen years I have worked with juniors and their parents one on one to help them learn mental skills for golf in a fun structured way. Over this time I have noticed some important skills that need to develop in order for golfing progress to continue and for the junior to still be playing the game with enjoyment. This article will explore what mental skills are needed to encourage/assist a champion human and golfer of the future. What are big mental issues that junior golfers face and why do they occur? It can be mentally tough to deal with rapid changes in hormones and appearance. Not only because the rapid growth phase affects the junior’s swing mechanics but it also can affect self-esteem and confidence levels. Something I notice about some 15-16 year olds is they are almost full sized physical adults but mentally and emotionally they can be still pretty immature. Society can find it hard to treat them accordingly when they are looking at a giant. Mental Skills needed: Adaptability, strong self-image, listening skills. The social media plays a huge role on the life of a teenager these days. Technology has advanced so fast that we instantly are linked in to what happens all around the world. Sporting stars these days live a different life to the rest of the population and have become almost ‘godlike’ in the eyes of many youngsters. Media highlights these points and young aspiring golfers have a mental abyss to cross to even think about becoming great at their sport. Sometimes mental issues arise with a lack of access to social media or on the other hand too much undisciplined freedom of what they can look at and time spent on it. It’s a captivating digital world now and just like adults, kids need to escape the tasks of everyday life. If the parents are not careful, the kids will get lost in the new exciting world of digital addiction. Mental Skills needed: Self-discipline, self-awareness and task management. Each family has their own set of unique struggles and personalities. Every child had an innate need to please their parents or make their parents proud. Sometimes they may not show it, but it is there! If the relationship with the parent and the junior is not carefully maintained the bond can be torn and it can cause the junior to look for bizarre ways to try and show the parents that they are good enough! e.g. raging on the golf course, not talking with them about their performances. Etc. Mental Skills needed: – Communication skills, role understandings, emotional intelligence. Learning to manage relationships with friends is another issue that junior golfers need to deal with. 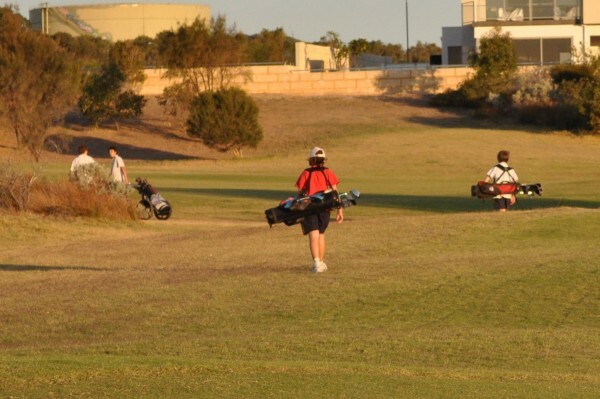 Golf is a social game and played with people from all walks of life and age categories. People who you play with are starting to expect a decent conversation in a round now and interviews start happening when you win tournaments. This can be overwhelming for kids with quieter personalities if they don’t have some tools to move forward with. Mental Skills needed: Communication skills, self-confidence, and empathy. Adolescent athletes often tell me they are finding it difficult to juggle school work, home chores, trying to earn a little money and training once they start reaching an elite level. I ask them if they have a weekly plan as a starting point and often hear that they don’t have one of those written out. If they are not well organized they often leave out an area (rest and reflection) which is easily forgotten. Mental Skills needed: Planning, prioritizing and self-discipline. When juniors start playing it’s almost always for the reason to have fun with mum, dad or friends. As progress improves they need to learn how to introduce the disciplined elements while still keeping things fun. Most of society starts to tell them how important it is to perform well and get results. As we all know the first question 9/10 people ask you when you finish a round or tournament is, “what was your score”? Mental Skills needed: Self-discipline, perspective and humour. It’s also the time of trying to deal with the massive question of what they should do with their life. School starts asking questions about what they should do with their career path subject choices. The new weight of discipline and responsibly gets thrust upon them more and more as each day goes by. Mental Skills needed: Wisdom, long-term thinking vs short-term thinking skills, decision making. As a parent you could read a few books on the area to raise your awareness of how to deal with lots of different scenarios. Other things that may help are making a time each week to have conversations about any topics other than golf. Furthermore, learning to care more about what happens at practice rather than just competition day can help emphasize what needs to really happen to get results instead of putting lots of pressure and focus on performance. What is a good age to start structured mental training? I believe good solid mental training starts from when you are born. In terms of structure and where an outside influence such as a mental coach can be very helpful, it’s around that age when they no longer want to listen to their parents! I don’t normally like to start with someone before 14 years old. Some kids mature a lot faster than others so you really need to look at the situation on an individual basis. If you are increasing the discipline side of things you need to make sure you are also increasing the encouraging/caring side of things to keep the balance in their mind. What is the best way to find out if a junior is interested and ready to take on mental training? If they are snapping clubs, having tantrums on/off the course and not listening to your advice to change then that’s a definite yes—they do need to begin mental training. Another definite yes would be if they are asking you questions on how to become mentally great at golf and you feel yourself giving less than solid answers. More often than not the golfers that are willing to work on their minds are the ones that are already the better players with more of an open attitude. You could ask them if they think the mental side of golf is important to their game. You could see if they are open to having a chat with a mind coach to work out if there is a willingness to get to work. Mat Howe is a Golf Mind Coach with a degree in Sport Psychology and has mentally coached golfers from the international professional playing standard through to beginners. If you are interested in making the mental side of golf a strength in your game you will find Mat has simple powerful coaching services and products which can help speed up your progress and make the game more enjoyable.